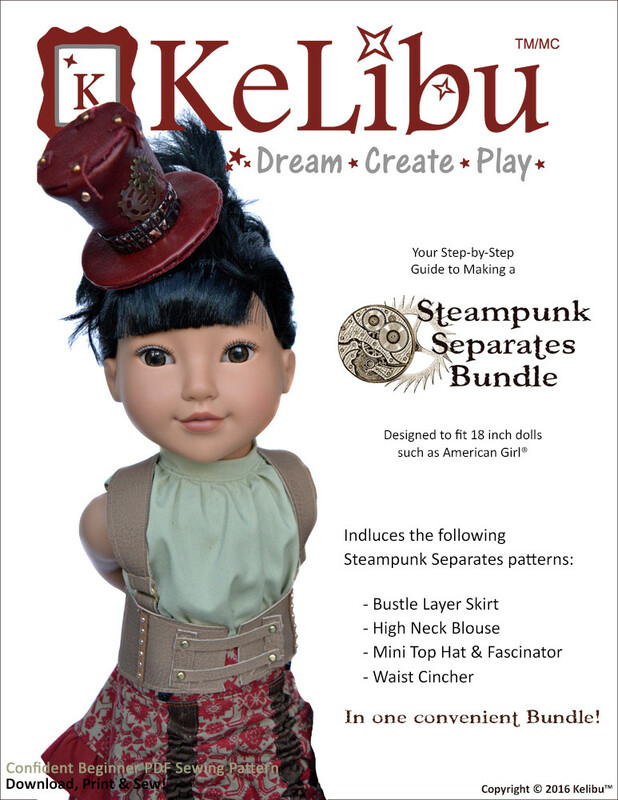 This digital doll clothes pattern will let you sew the perfect shirt for your 18 inch doll, no matter what the season. 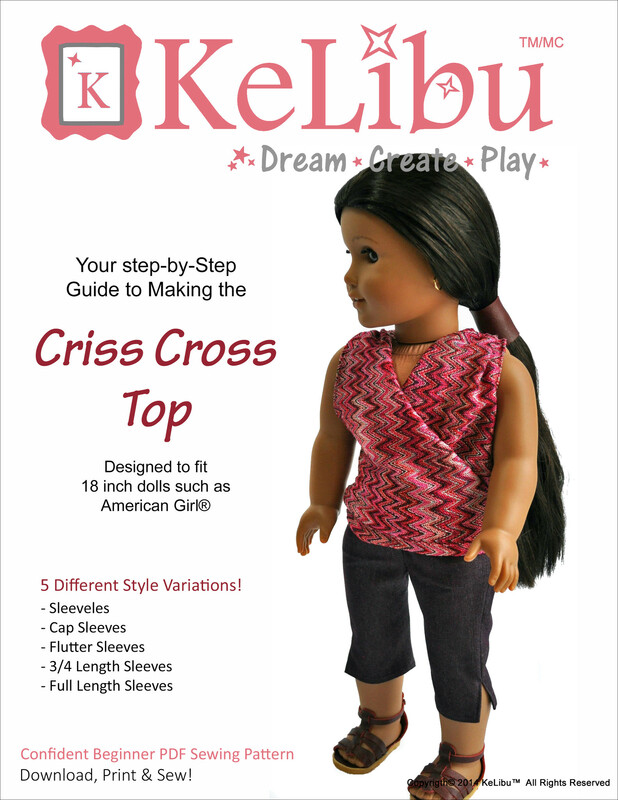 You can make 5 different styles of shirts for your with the Criss-Cross Top PDF Pattern! 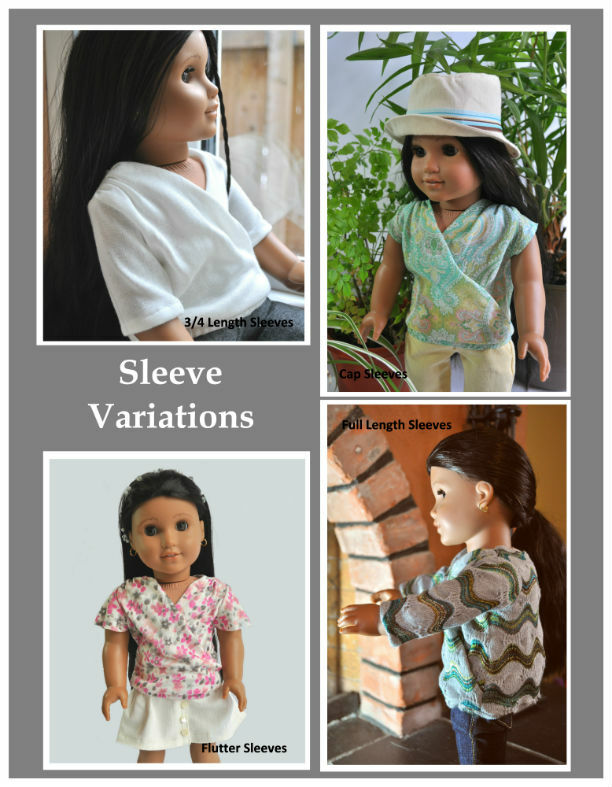 This sewing pattern includes instructions for making a cross over front shirt with 5 different sleeve options: sleeveless, flutter sleeves, cap sleeves, 3/4 length sleeves or full length sleeves. 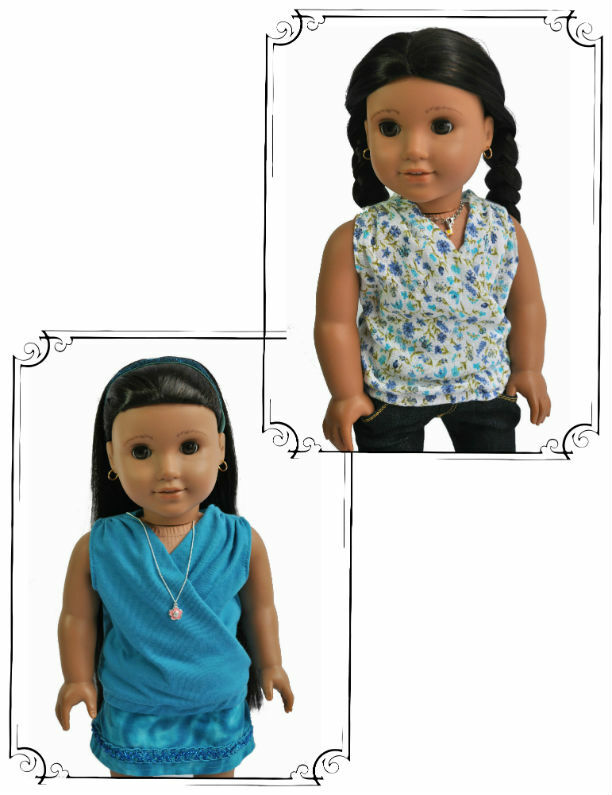 Your doll will have the perfect shirt to wear no matter what the season – spring, summer, fall or winter! 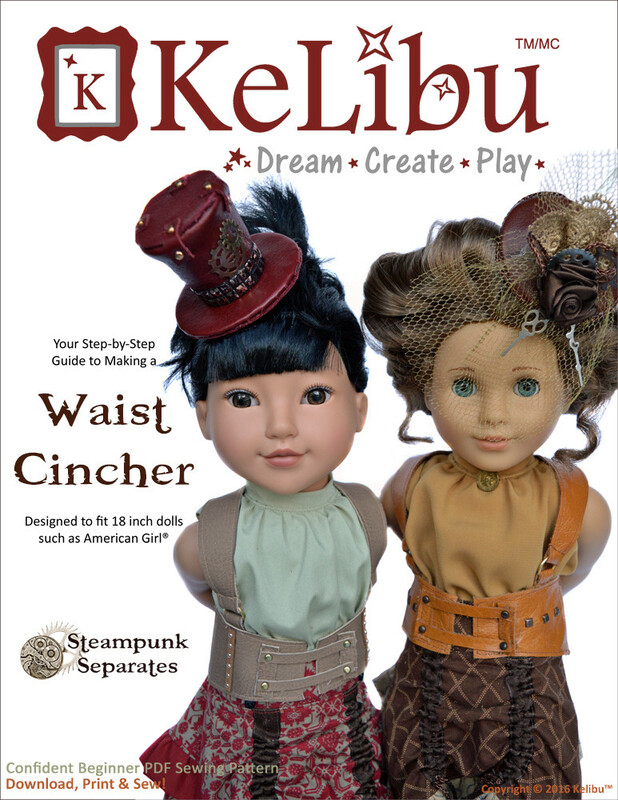 1/3 yard (1/3 metre) of lightweight knit fabric or lightweight woven fabric with some stretch. 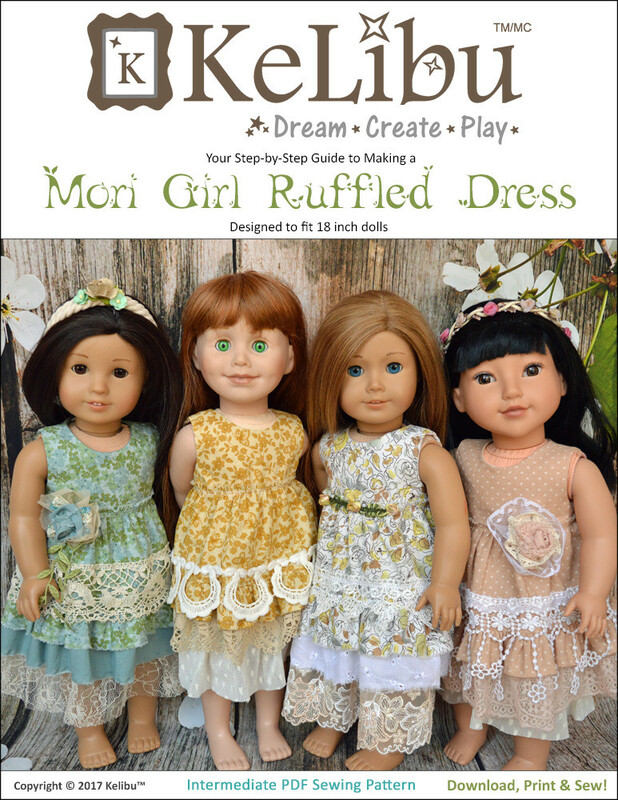 Note: You must use a knit fabric that doesn’t ravel if you want to make the variation with flutter sleeves.